The following is information for your upcoming training/speaking event with Georgi DiStefano. You can copy/paste directly from this page and downloads his photos, C.V., W-9 form (if you need it), and any other linked items. Contact us at info@highconflictinstitute.com if you have any questions or trouble downloading anything. William A. (“Bill”) Eddy is a lawyer, therapist and mediator. He is the co-founder and Training Director of the High Conflict Institute based in San Diego, California. Bill provides training on the subject of high-conflict personalities to lawyers, mediators, judges, mental health professionals and others. He has presented in over 30 states and ten countries. He is a Licensed Clinical Social Worker, with 12 years’ experience counseling children, adults, couples and families in psychiatric hospitals and outpatient clinics. For the past 26 years, he has also been a lawyer, representing clients in family court (as a Certified Family Law Specialist) and providing divorce mediation services. He is the author of over a dozen books, including: High Conflict People in Legal Disputes, 2nd Ed. ; SPLITTING: Protecting Yourself While Divorcing Someone with Borderline or Narcissistic Personality Disorder; and BIFF: Quick Responses to High Conflict People. He is the developer of the New Ways for Families® method for potentially high-conflict families, which is being implemented in several family court systems in the United States and Canada. He is also the developer of the New Ways for Mediation® method, which emphasizes more structure by the mediator and more negotiation skills for the parties. 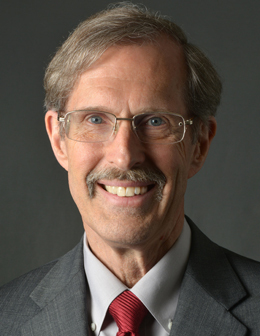 Bill Eddy is a lawyer, therapist, mediator and the co-founder and Training Director of High Conflict Institute. He developed the "High Conflict Personality" theory (HCP Theory) and has become an international expert on managing disputes involving high conflict personalities and personality disorders. He provides training on this subject to lawyers, judges, mediators, managers, human resource professionals, businesspersons, healthcare administrators, college administrators, homeowners’ association managers, ombudspersons, law enforcement, therapists and others. He has been a speaker and trainer in over 30 states and ten countries. As an attorney, Bill was a Certified Family Law Specialist in California and is the Senior Family Mediator at the National Conflict Resolution Center in San Diego. Prior to becoming an attorney in 1992, he was a Licensed Clinical Social worker with twelve years’ experience providing therapy to children, adults, couples and families in psychiatric hospitals and outpatient clinics. He has taught part-time at the University of San Diego School of Law and the National Judicial College. He is currently on the part-time faculty of the Straus Institute for Dispute Resolution at the Pepperdine University School of Law. For several years he has also been a visiting lecturer at Monash University Law Chambers and Newcastle Law School in Australia. •	High Conflict People in Legal Disputes, 2nd Ed. •	So, What’s Your Proposal? He is also the developer of the New Ways for Families method of managing potentially high conflict families in and out of family court, and a method for managing potentially high conflict employees, New Ways for Work. He has also developed and trained hundreds of mediators with his New Ways for Mediation method. He has a popular blog on the Psychology Today website with over two million views. Below are three options for headshots. Click to download for use in marketing this event. Our logo is protected by trademark but you have permission to use it for marketing this event. Bill brings his own laptop and slide clicker/pointer and can adapt to HDMI, VGA or lighting hookups. Materials will be sent as agreed in the Letter of Engagement. This is just a note regarding use of our materials after the event. To maintain consistency of our information and methods (and to try to make a living from our work), we copyright all of our PowerPoint slides. Our work is our intellectual property. If you would like to use any portion of our PowerPoint Slides, please contact us for permission. We like to be generous and we are grateful for promoting our work and ideas, so please do not hesitate to ask. We typically authorize use of 1-3 slides, as long as credit is given on each slide to the High Conflict Institute along with our web address, www.highconflictinstitute.com and correct service marks. Once approved, we will keep your name and contact information in our records so you don’t have to worry about problems down the road. Thanks for helping us! All of our articles are free for dissemination as long as they are not altered and credit to HCI and the author are included.